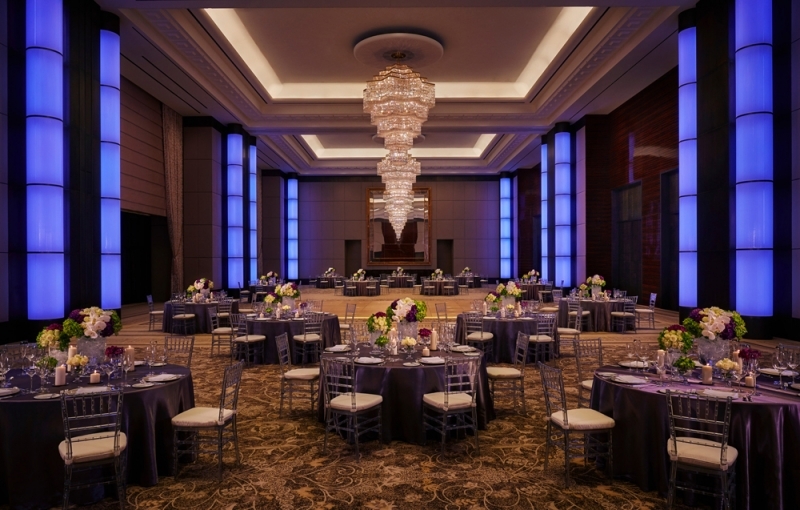 Perfect for hosting traditional weddings in Bahrain, our two ballrooms can host separate men's and women's celebrations. An adjoining band room can pipe live music into both venues. 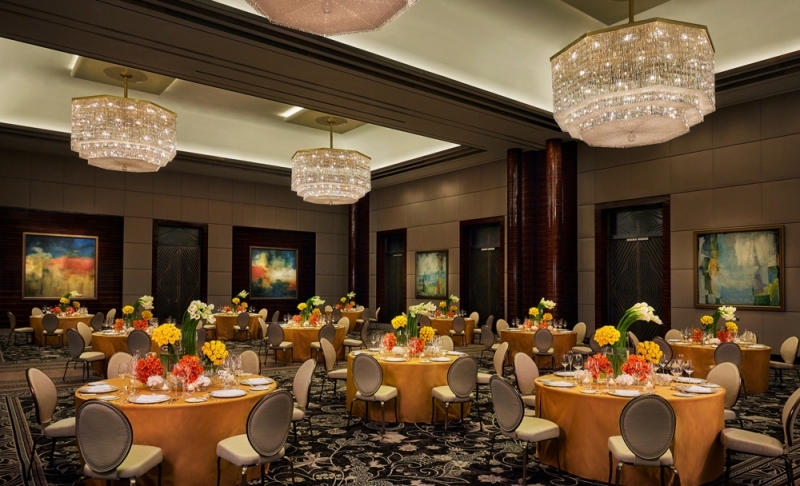 Located between the ballrooms, a luxuriously designed Bridal Suite includes a private entrance for the bridal party, a photography room, a private pantry, separate living room and companion suite. 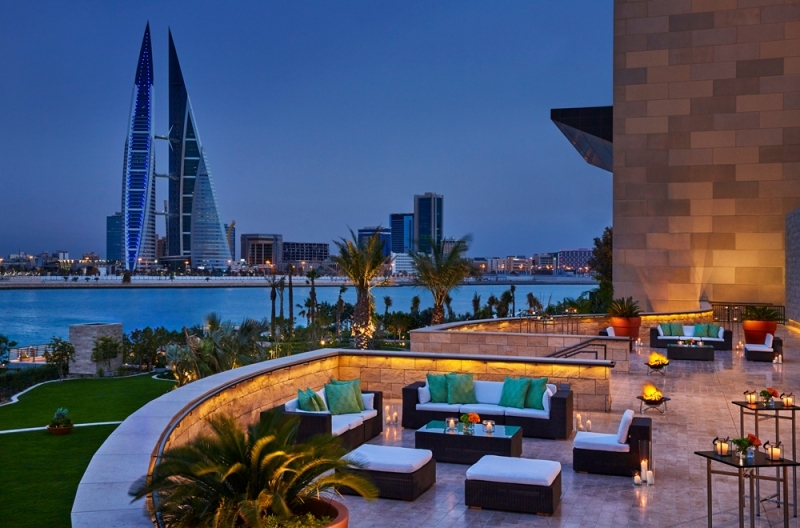 Hosting Bahrain events for 10 to 900 guests, Four Seasons Hotel Bahrain Bay features a total of 3,272 m2 (35,222 sq. ft.) of function space. 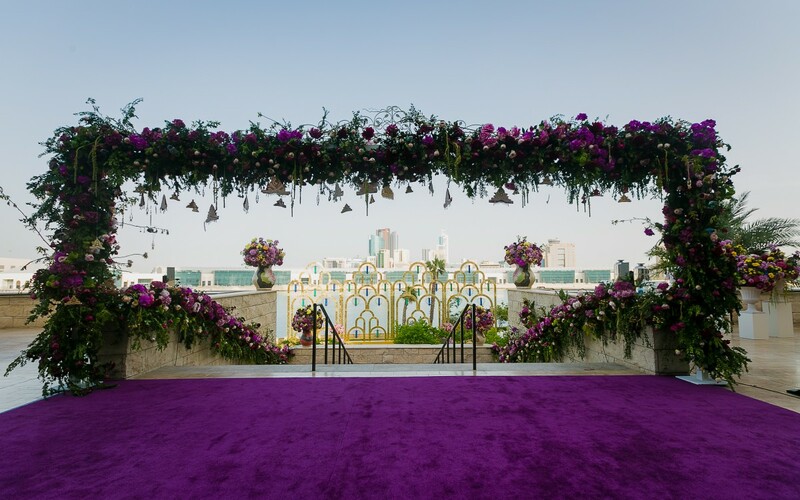 A dedicated porte-cochère off the driveway leads to both the Al Bahrain Ballroom and Al Manama Ballroom. 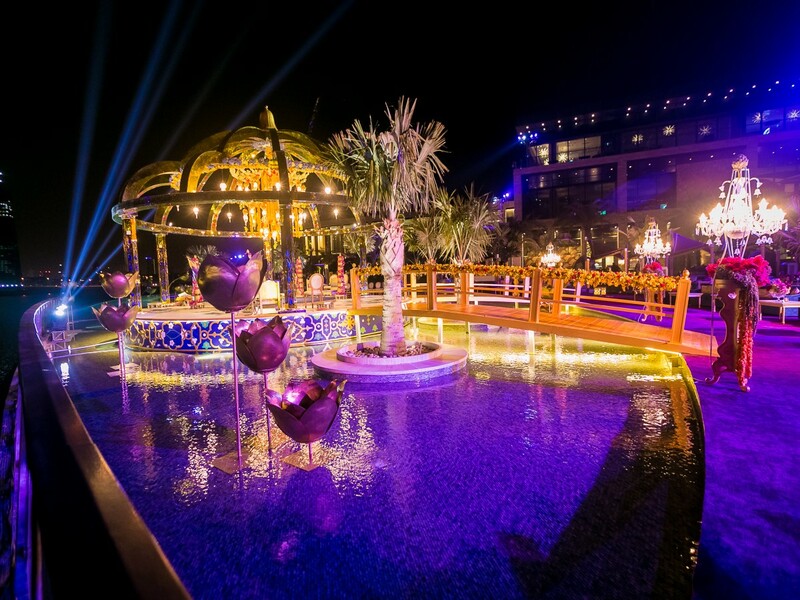 Outdoor events unfold on The Terrace and The Lawn. In the Sky Bridge on the 50th and 51st floors, four meeting rooms and two dedicated boardrooms provide inspiring views and unsurpassed prestige. 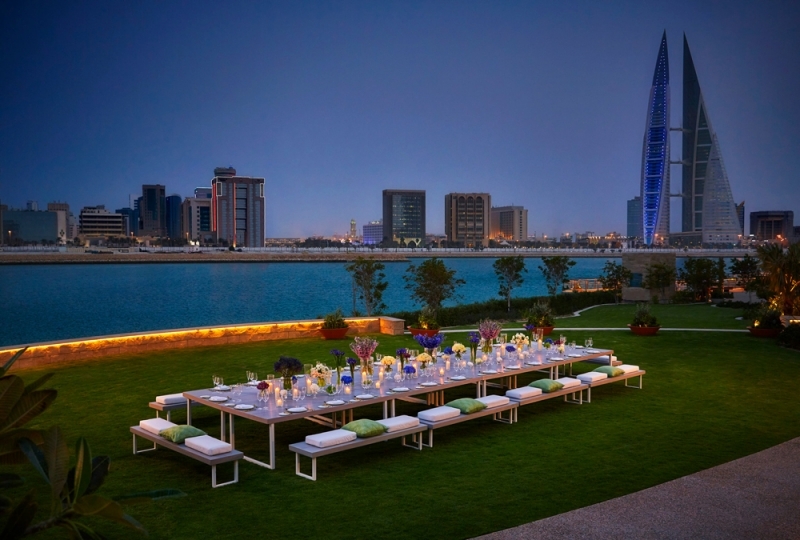 Our Bahrain wedding specialists will help you custom-design your fantasy wedding – from flowers and photography to décor and menus. 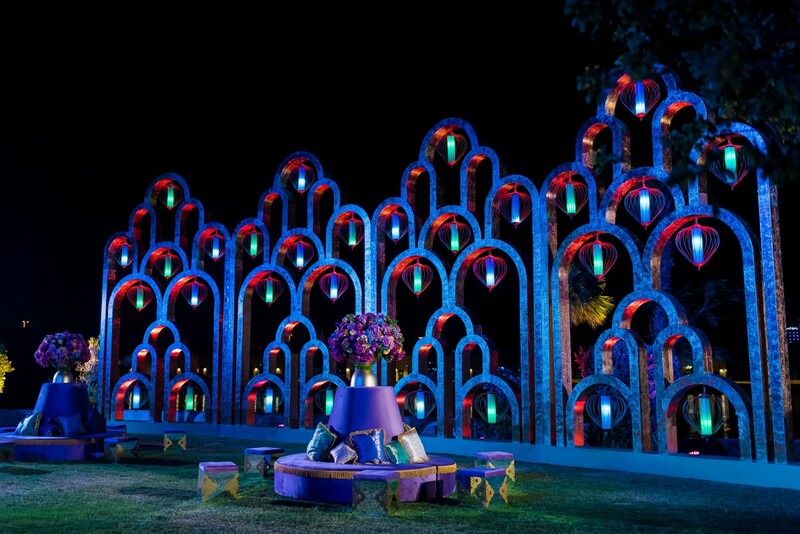 Consult with our caterers to create a deliciously personalized menu.